I got this as I was going away to France camping for 10 nights and felt like I needed something bigger than my 4 man tent. (There is just me, my husband and our dog btw)It was super easy to put up, however I would recommend watching a video on youtube about pitching tunnel tents if you have never done it before. The layout of the tent is great. 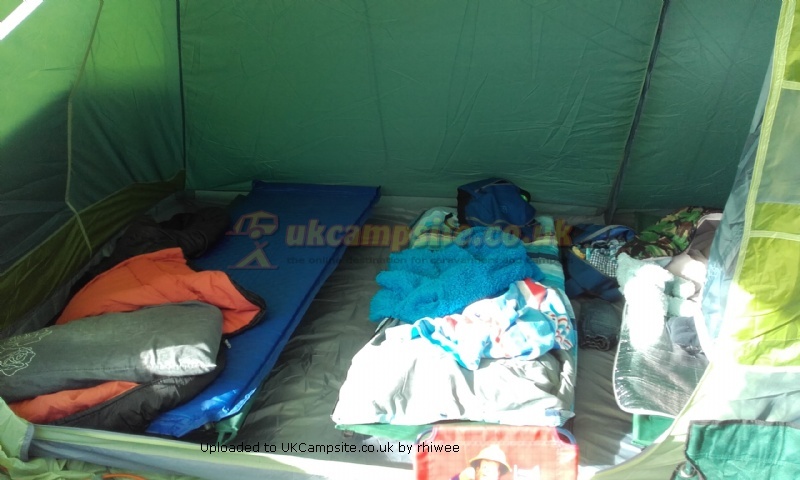 There are 2 bedroom compartments (they always advertise to berth of the tent and you can never understand how that many people would fit in the tent, never mind sleep in it - not the care here! ); one is a large room that would comfortably fit 3 people in it. We use this room for the2 of us and the dog and we have plenty of room to move around. The other room is a good side/smaller room which you would be able to fit a double sleeping bag in but maybe not much room to move around, we use this room as a little dressing room with all our clothes and toiletries (next year when we return to france, I think I will put a portaloo in there getting up in the night busting and fighting with zips was not great!) Anyway. Both these rooms have a great height and ventilation. The main living area is big! 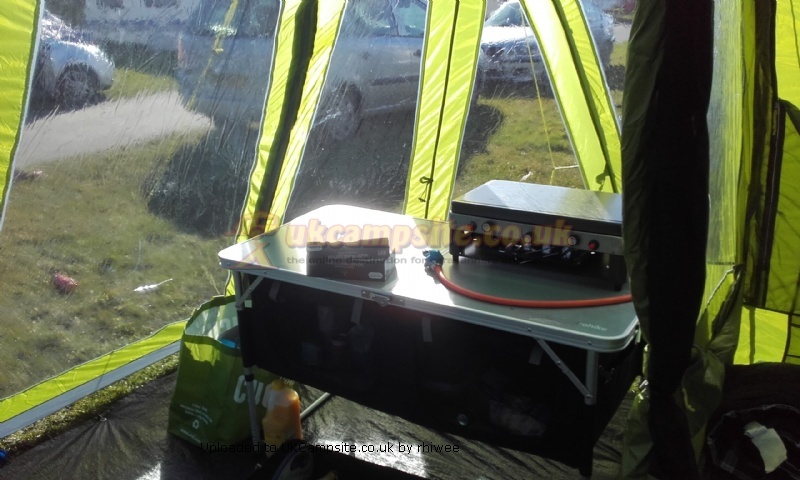 We had our coolbox in there with a collapsible cupboard with a small tv on top and inflatable sofa and inflatable single seat with a very small coffee table like thing! Again comfortable massive vent that lets the cool air in and also a mesh door to the side. We have the carpet the for this tent too which just makes it even more confortable! Only thing I wish it had is a central lamp hanging point :-( id love to have one of these! Then there is porch. This area is fantastic! 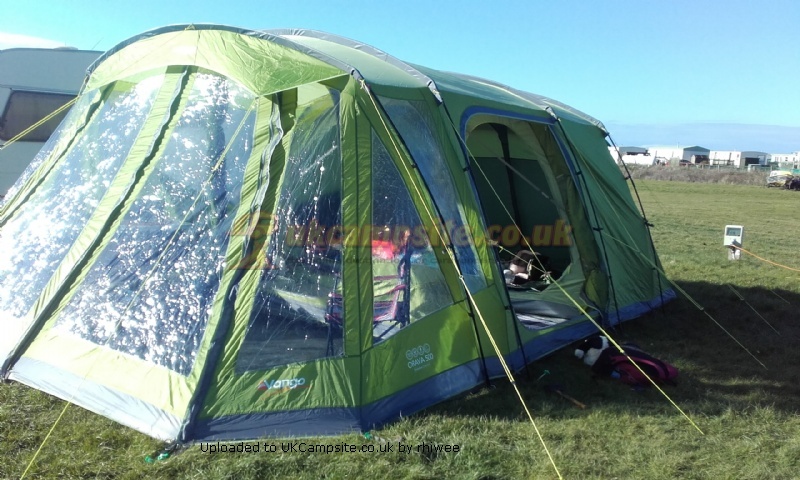 Its like having a conservatory on you tent, its crazy! Again its a really good size so even in the rain (which unfortunately we had a lot of when we were in france) you can sit out here, play cards, cook etc. Out here we had our kitchen unit, stove, pots pans 2 camping chairs and a table. There is such great versatility with the doors. There is a massive door/doors which you can open separately or together if you want. You can also get king poles and peg them out so you have a huge canopy! The sides next to the door can also be rolled back to open up the front event more. 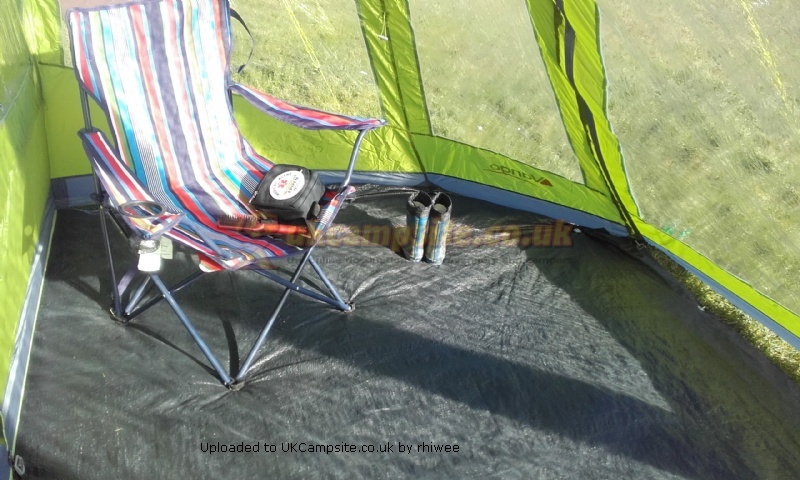 Add your review of the Orava 500! NEW for 2015 is the Orava range, a winning combination of space and flexibility. The living area is enhanced by the use of pre-bend poles and is complimented by zipped curtains and storage pockets. The fully flexible built in front extension allows you to create either an outdoor space or an indoor sanctuary, depending on the weather. 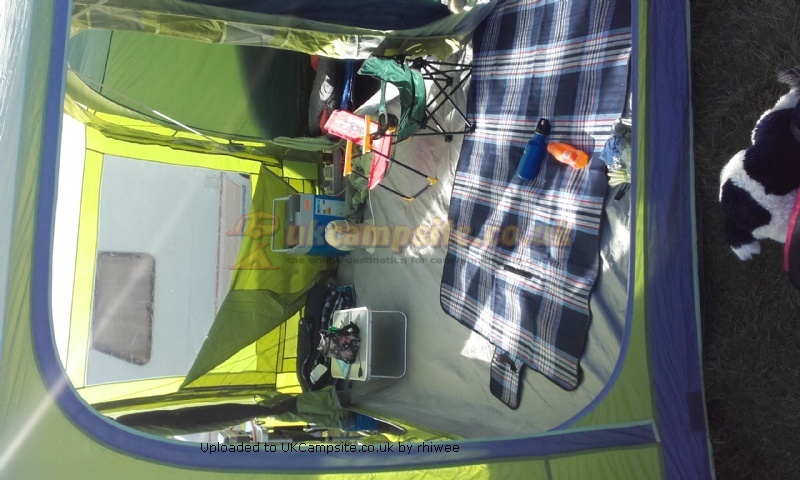 A groundsheet for the awning area is supplied with the compatible Orava Footprint. 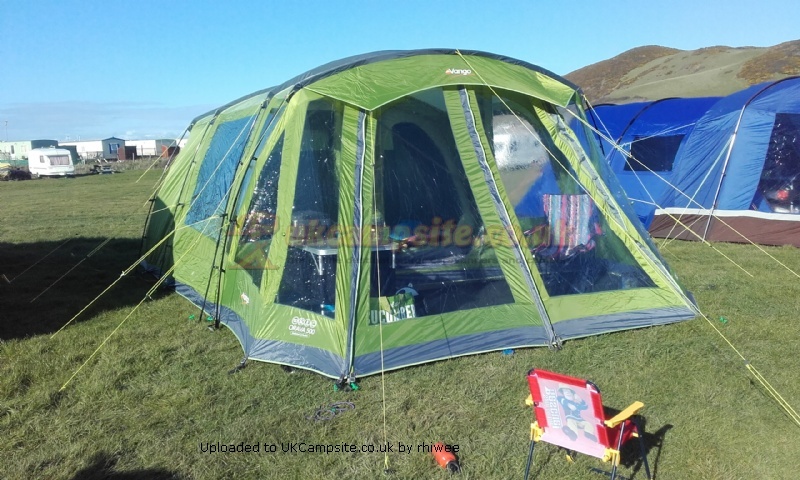 This tent is ideal for any family who requires the ultimate in versatility.